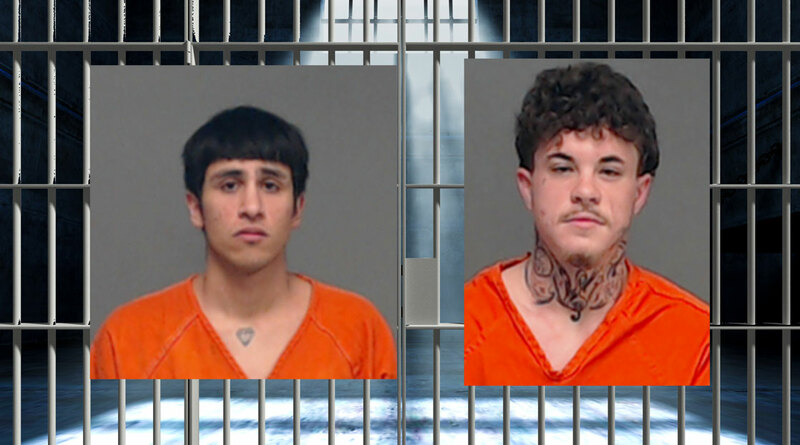 SAN ANGELO, TX – Two men were charged with aggravated robbery on Thursday after shooting a man and taking all the money in his pockets in January, police say. The San Angelo Police Department began investigating a possible robbery that occurred on the night of Jan. 13. The officers met with Carlos Puga, where he showed them that he had been shot multiple times, and believed that he knew who did it. He showed the officers social media pictures of Dathan Knight, 19. Puga told officers that Juan Gomez, 21, asked him to come to his house "to meet and chill." Puga went to the house on the 200 block of Laguna Verde where Knight was waiting inside. Once inside, Knight showed Puga the gun in his waistband and told him to empty out his pockets, according to an affidavit. Puga then hit Knight and tried to subdue him because of the gun. Knight then fell back, pulled the gun from his waist and shot the victim in the chest. Knight then took all of the money out of Puga's pockets and left the scene. Gomez was originally thought to be a victim in the case due to his gunshot wound. But officers were able to recover text messages and Facebook messages that showed otherwise. Knight and Gomez planned the event prior to it happening. Messages show Gomez agreeing to use his home as long as he got some of the money they took. With this information, detectives where able to determine that Gomez's gunshot wounds were actually from being grazed with a bullet while Knight was shooting at Puga. Knight was missing for 10 days before police found him in a motel in San Antonio. Police were then able to interview him where he admitted to shooting the victim and taking the Puga's money. Knight also told police that Gomez was also there to intimidate Puga. Knight is charged with aggravated robbery and aggravated assault with a deadly weapon. He is currently in the Tom Green County Jail on a $200,000 bond. Gomez was charged with aggravated robbery and failure to appear on an assault that caused bodily injury case. He is currently in the Tom Green County Jail on a $101,000 bond.